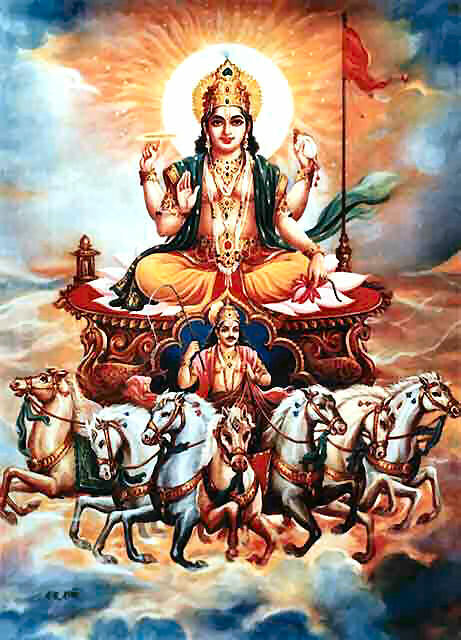 In the Vedas, Surya is frequently referred to as “the eye of Mitra, Varuna, and Agni”. Lord Surya is also considered to be the eye of the Virat Purusha. Nakshatra grahataaraanaam adhipo vishva bhaavanah. Tejasaamapi tejasvii dvaadashaatman namostute. He is the lord of stars, planets and all constellations. He is the origin of everything in the universe and is the cause of the luster of even the brilliant ones. Salutations to Thee who is the One being manifest in the twelve forms of the Sun. NOTABLE MENTION SUN IN HINDU MYTHOLOGY. Sun is the most important diety in Hinduism or Santana Dharma. There are numerous mention of Sun in Vedas and mythology. When Lord Rama got exhausted after fighting mighty forces of Demon Ravana and when Ravana was about to enter the final phase of battle. All the Gods from heaven and skies came together to see the epic battle between Lord Rama and mighty Demon Ravana. Sage Agastya advised Rama to gain his strength and made him recite “Aditya Hridayam Stotram” twice. Lord Sun blessed Rama with his powers and finally Ravana was killed and Dharma was established on earth again. Adtiya Hriydam Stotra can be found here and is a potent remedy for all problems in life. In the Ramayana, Surya is described as father of the King Sugriva, who helped Rama and Lakshmana in defeating the demon king Ravana. He also trains Hanuman. The Suryavanshi dynasty of kings, Rama being one of them, also claims descent from Surya. In epic “Mahabharata ” one of the main and pivotal figure “Karna” was son of Lord Sun and was blessed by all powers of Sun. 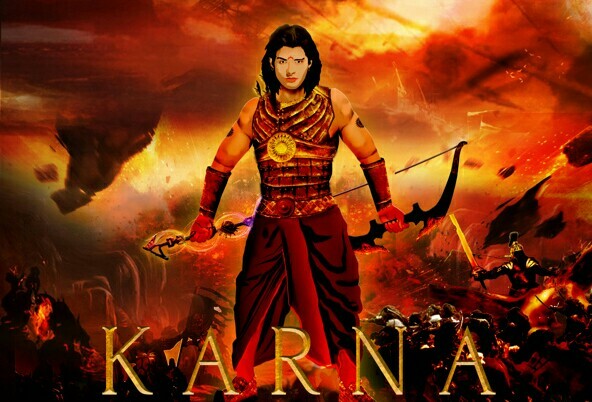 Karna was an invincible but was fighting for wrong people and this led to his end by Krishna advice to Pandavas. Apart from that curses from his guru “parashuram” and goddess earth played an important part in end of Karna. There is a city named “Karnaprayag” on Himalayas and is named on Karna the Son of Lord Sun. 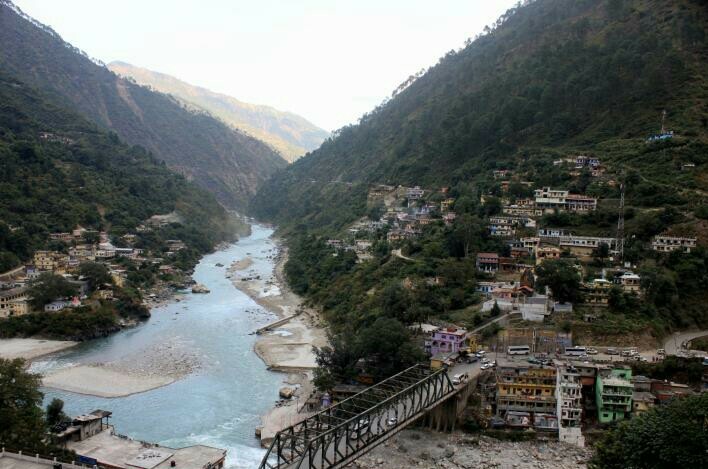 As per legend Karnaprayag is one of five sites where the confluence of rivers occurs. The five prayags are Vishnuprayag, Nandprayag, Karnaprayag, Rudraprayag and Devprayag. Allahabad where the Ganges, Yamuna and mythical Saraswati join, is known as Prayag, and is one of the holy places of Hindu pilgrimage. Karnaprayag is believed by many to be the place where Karna of the Mahabharata, was to have worshipped the Sun God. 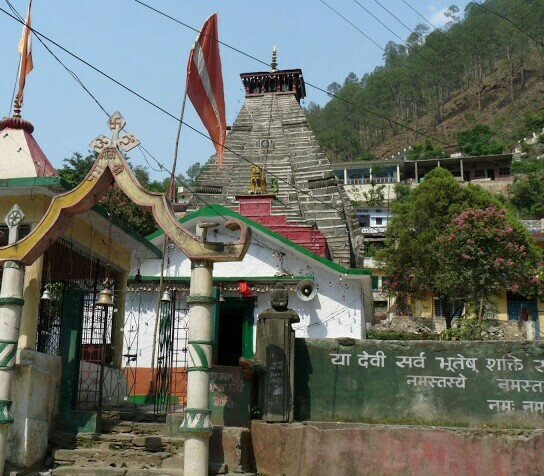 There is an ancient temple, devoted to Uma in Karnaprayag. It is on the way to Badrinath, on the confluence of two holy rivers Alaknanda and Pindar. It is said that Karna of Mahabharata meditated here for many years to acquire the impregnable shield, which made him a formidable warrior in the battlefield. Swami Vivekananda meditated here for eighteen days with his Guru Bhai, Guru Turianand ji and Akharanand ji. In some versions Karnaprayag is the place where Lord Krishna done the cremation of Karna. When Arjuna used the Anjalika astra on weaponless Karna, who was still trying to lift the sunken chariot wheel, Lord Krishna found that Karna was still alive even though seriously wounded. 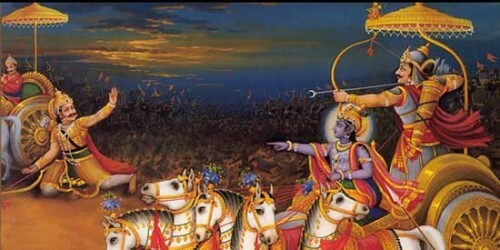 Lord Krishna found that Dharma-devata, the goddess responsible for protecting Dharma (righteousness) is guarding Karna from death and resisting every arrows send by Arjuna. Krishna and Arjuna found it was impossible to kill Karna as the goddess was protecting Karna personally. Lord Krishna explained to Arjuna that the Dharma-devata herself was protecting Karna from death because of the massive good merit Karna earned by giving charity during his life time and it was impossible even for Lord Shiva to kill Karna. Krishna said wherever Dharma is present there is victory and this time Dharma was with the side of Karna. So Krishna went down from his chariot and appeared as a Brahmin and asked for Karna’s punya or merit to him as charity. Karna gave his entire merits as charity to the Brahmin in the form of his blood and once Karna gifted his life’s merit to him, Krishna rewarded Karna with the view of Krishna’s Vishwaroopa. Krishna told that only this way it was possible to kill Karna and when Karna gave away his life’s merit to Krishna, Dharma-devata disappeared. 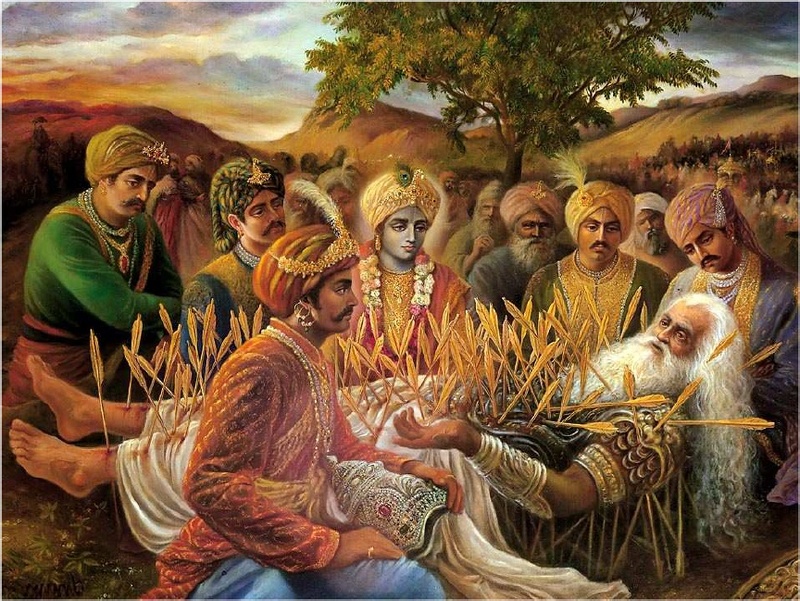 Karna asked Krishna to cremate him in a virgin land where nobody else is present. Then Krishna went back to his chariot and asked Arjuna to take the kill shot on Karna. Later Krishna himself done the cremation of Karna at Karnaprayag. I mentioned the story of Karna, to highlight the quality’s of Sun since Karna was progney of him. Karna was epitome of Kindness and selflessness and his whole life,he faught against caste system and indifferences made by society towards him. Karna had full faith in Lord Sun and was unaware if the fact that he is progeny of Lord Sun himslef. To show his gratitude Karna started the festival named “Chhath Puja” and is performed in order to thank Lord Sun for sustaining life on earth and to request the granting of certain wishes.This festival is observed by Nepalese people and Indian people along with their diaspora. To add more to this, I shall conclude the incident where Lord Krishna despite being in opposition of Karna was praising his war skills. When Arjuna saw this, he got confused and asked Krishna why he is praising the enemy. Krishna explained Arjuna that, your chariot is protected by Lord Hanuman himself and me(Krishna) the prime creator is present on your chariot. Still Karna is able to withdraw your chariot many steps back by his courage and war skills. This incident shows the power of planet Sun, where his son Karna was able to stand against the Lord Krishna and Hanuman (shiva). There are two more major incidents where Lord Sun is highlighted in epic Mahabharata from Krishna era. Known as ” Makar Sakranti” when Sun enters into Capricon zodiac and marks the beginning of “Uttarayan (northly course of Sun”.Uttarayana is referred to as the day of new good healthy wealthy beginning. According to Mahabharata on this day Bheeshma Pitamaha, chose to leave for his heavenly abode. As per the boon granted to Devavrata (young Bheeshma), he could choose his time of death and he chose this day, when the sun starts on its course towards the northern hemisphere. During the same period he gave to the world the greatest remedies “vishnu sahasranamam”. Sun in northerly course get extra strength in shadbala calculation.. The Surya Siddhanta defines Uttarayan as the period between the Makara Sankranti (which currently occurs around January 14) and Karka Sankranti (which currently occurs around July 16). The term Uttarayana is derived from two different Sanskrit words “uttara” (North) and “ayana” (movement) thus indicating a semantic of the northward movement of the Sun on the celestial sphere. This movement begins to occur a day after the winter solstice in December which occurs around 22 December and continues for a six-month period through to the summer solstice around June 21 (dates vary ). This difference is because the solstices are continually precessing at a rate of 50 arcseconds / year due to the precession of the equinoxes, i.e. this difference is the difference between the sidereal and tropical zodiacs. Conversely, Dakshinaya is defined as the period between the Autumnal and Vernal Equinoxes, when there is midnight sun at the South Pole. This period is also referred to as Pitrayana (with the Pitrus (i.e. ancestors) being placed at the South Pole). Also when Arjuna was receiving teachings of Geeta. 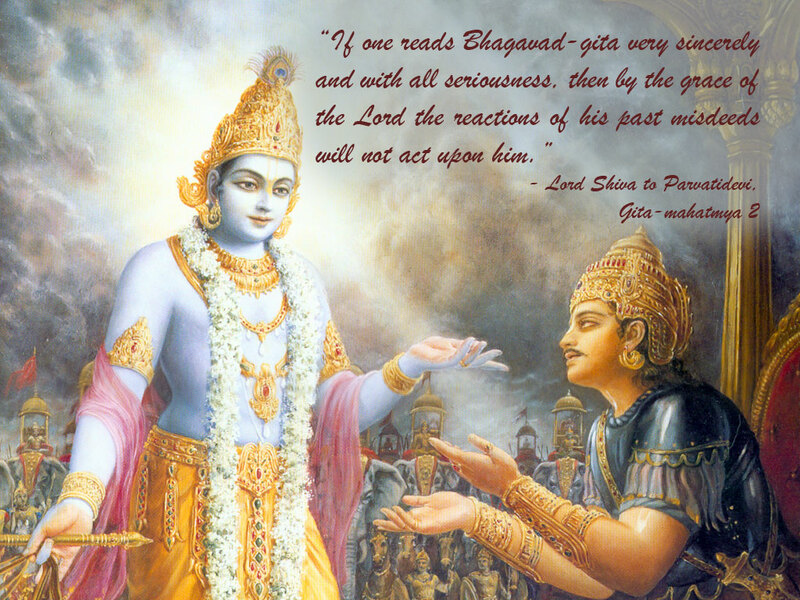 Lord Krishna told him that before you only Lord Sun has received the teachings of Geeta from Krishna himself. OTHER IMPORTANT MYTHOLOGY RELATED TO SUN. Sun had three wives: Saranyu, Ragyi and Prabha. Saranyu was the mother of Vaivasvata Manu (the seventh, i.e, present Manu) and the twins Yama and his sister Yami. She also bore him the twins known as the Ashvins, divine horsemen and physicians to the Devas. Saranyu, being unable to bear the extreme radiance of Surya, created a superficial entity from her shadow called Chhaya and instructed her to act as Surya’s wife in her absence. Chhaya mothered two sons Savarni Manu and Shani, and two daughters, Tapti and Vishti. He has two more sons, Revanta with Ragyi, and Prabhata with Prabha. Surya’s sons, Shani and Yama, are responsible for the judgment of human life. Shani provides the results of one’s deeds during one’s life through appropriate punishments and rewards while Yama grants the results of one’s deeds after death. Like some other deities, such as Shiva (who are worshiped by saints, normal worshipers and demons), Surya has a following of the same types of beings. A group of Raksasas known as Yatudhanas were the followers of Surya and wandered with him. It is mentioned that Bhauvana the Daitya offered a prayer to Surya with the Rathantara saman and was immediately turned into an elephant. His Greek counterpart is Helios and his Egyptian counterpart is Ra. One of the major mantra in Hinduism is “gayatri mantra” and is dedicated to Lord Sun. The Gayatri mantra is repeated and cited very widely in Vedic literature and praised in several well-known classical Hindu texts such as the Manusmṛti (“there is nothing greater than the Savitri (Gayatri) Mantra.”, Manu II, 83), the Harivamsa,and the Bhagavad Gita. The mantra is an important part of the upanayana ceremony for young males in Hinduism, and has long been recited by dvija men as part of their daily rituals. Modern Hindu reform movements spread the practice of the mantra to include women and all castes and its use is now very widespread. Imparting the Gayatri mantra to young Hindu men is an important part of the traditional upanayana ceremony, which marks the beginning of study of the Vedas. Sarvepalli Radhakrishnan described this as the essence of the ceremony, which is sometimes called “Gayatri diksha”, i.e. initiation into the Gayatri mantra. However, traditionally, the stanza RV.3.62.10 is imparted only to Brahmin boys. Other Gayatri verses are used in the upanayana ceremony for non-Brahmins: RV.1.35.2, in the tristubh meter, for a kshatriya and either RV.1.35.9 or RV.4.40.5 in the jagati meter for a Vaishya. In addition to the Sandhyavandanam-use, Gayatri japa is used as a method of prāyaścitta, instrument of Tantric practice, etc. It is believed by practitioners that reciting the mantra bestows wisdom and enlightenment, through the vehicle of the Sun (Savitr), who represents the source and inspiration of the univers,In 1827 Ram Mohan Roy published a dissertation on the Gayatri mantra that analysed it in the context of various Upanishads. Roy prescribed a Brahmin to always pronounce om at the beginning and end of the Gayatri mantra.From 1830, the Gayatri mantra was used for private devotion of Brahmos. In 1843, the First Covenant of Brahmo Samaj required Gayatri mantra for Divine Worship. From 1848-1850 with the rejection of Vedas, the Adi Dharm Brahmins use the Gayatri mantra in their private devotions. In the later 19th century, Hindu reform movements extended the chanting of the Gayatri mantra beyond caste and gender limitations. In 1898, Swami Vivekananda began initiating non-Brahmins with upanayana and the Gayatri mantra. He based this on the interpretations of the Vedas and Bhagavad Gita that Brahmin status is earned and not hereditary. The Arya Samaj notably spread the teaching that recitation of the mantra was not limited to males, but that women could rightfully be taught both the Vedas and the Gayatri mantra.In his writings, S. Radhakrishnan encouraged the teaching of Gayatri mantra to men and women of all castes.Various Gayatri yajñas organised by All World Gayatri Pariwar at small and large scales in late twentieth century also helped spread Gayatri mantra to the mass. Among all nine planets, only Sun has major temples which were made by great Kings and have great importance in Hinduism. According to the scriptures, Samba, the son of Krishna, was cursed with leprosy. He was advised by the sage, Kataka, to worship the sun god to cure his aliment. Samba underwent penance for 12 years in Mitravana near the shores of Chandrabhaga.Both the original Konark temple and the Multan templehave been attributed to Samba. Though there are several temples enshrining the Sun God as the principal deity. Many temples dedicated to Shiva, also features a small shrine for Surya the Sun God. Many of these Sun temples have been designed in such a way that the sun’s rays illuminate the sanctum (of Shiva) on certain days of the year. Dakshinaarka Temple, Suryanaar Koyil in South India, Arasavilli and Konark on the Eastern part of India, Modhera in Gujarat (Western India), Surya Pahar in North Eastern India and Unao in Central India. 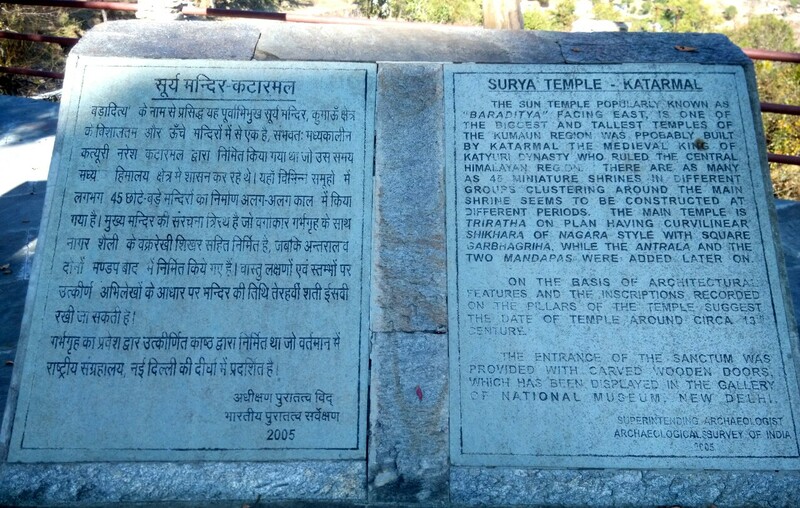 It should be mentioned here that remains of an ancient Sun temple are found at Martanda near Srinagar in Kashmir. It is said to date back to the first century AD. Ruins of a sun temple which attracted thousands of visitors in the 7th century AD are found in Multan in Pakistan. As with all other temples in India, legends and beliefs are associated with each of the above temples. It is interesting to note that one of the beliefs shared by worshippers at these temples situated so far apart – is that visits to these temples followed by a dip in the sacred tanks associated with them would bring relief to believers ailing from blindness, leprosy and other skin diseases. Out of all these I will discuss on two temple only. 1.Konark Sun Temple: The greatest Sun temple in the world and was built in 13th-century at Konark in Odisha, India. It is believed that the temple was built by king Narasimhadeva I of Eastern Ganga Dynasty around 1250 CE.The temple is in the shape of a gigantic chariot elaborately carved stone wheels, pillars and walls. A major part of the structure is now in ruins. The temple is a UNESCO World Heritage Site and has also featured on various list of Seven Wonders of India. This temple of Sun is relatively unknown and many of you might be hearing about it first time. Katarmal is known for a relatively rare Surya temple, constructed by the Katyuri Kings in the 9th century CE. 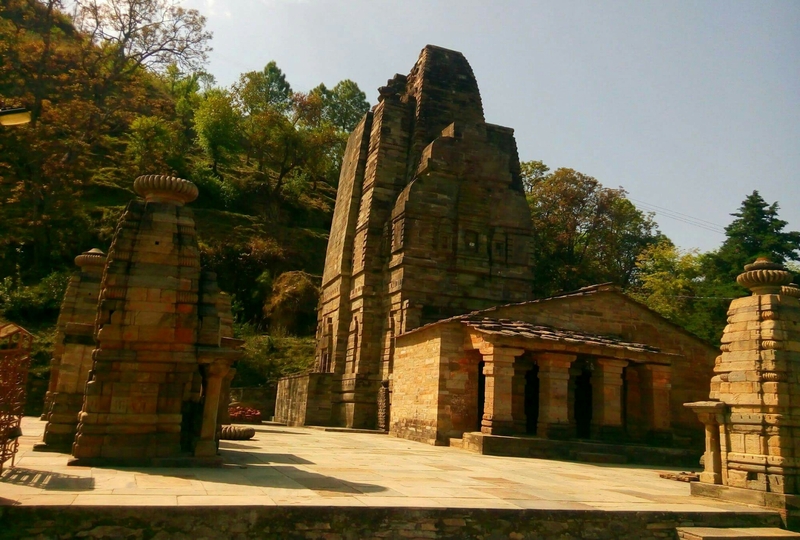 Katarmalla, a Katyuri king constructed this temple, which has 44 smaller temples around the main deity of Surya, which called as Burhadita or Vraddhaditya.Other deities like Shiva-Parvathi, Lakshmi-Narayana etc. are also established in this temple complex. The carved wooden doors and panels were transported to the National Museum, Delhi, after an idol from the 10th century was stolen.The temple, which holds other carvings on walls and panels, was declared a monument of national importance under the Ancient Monuments and Archaeological Sites and Remains Act of 1958. There are many remedies of planet Sun but few are very effective and easy to perform. 1.Pour water to Sun daily and recite gayatri mantra. 2. Adtiya Hridyiam Stotra can be recited daily in morning and is most effective if all. 3.Following names can be recited daily during meditation on Lord Sun. 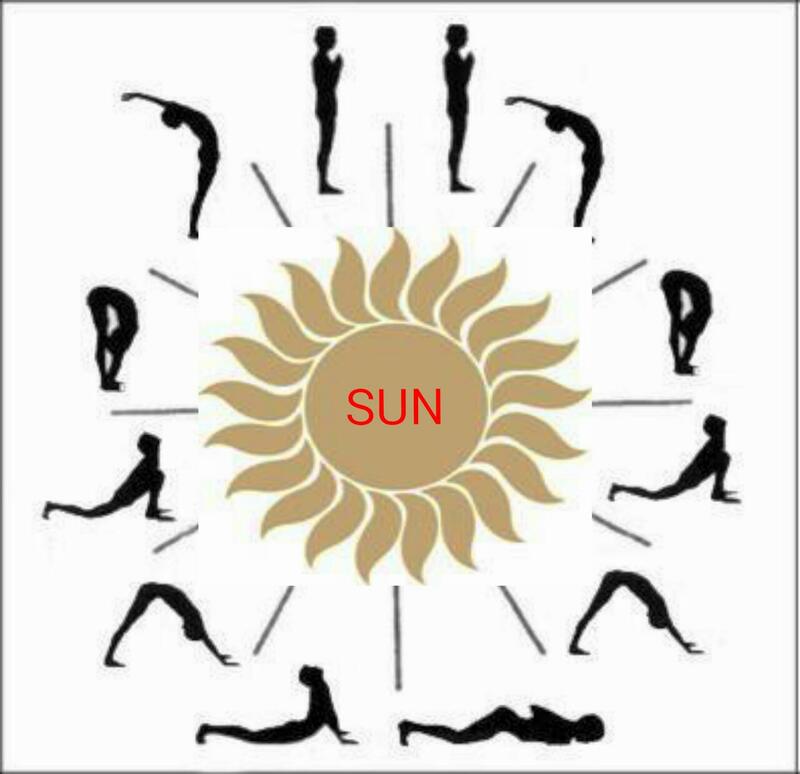 We all have heared of Sun Salutations or Surya Namaskar. It’s a Yoga practice when done daily cures with all aliments and bestows health and longevity. 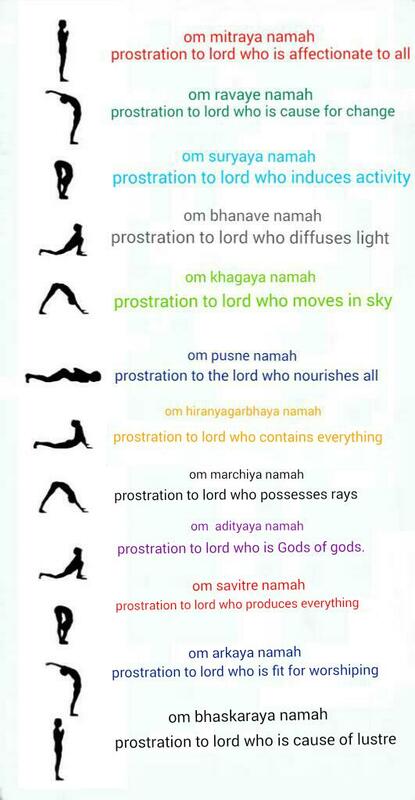 There are total 12 poses in it and above stated mantras is used with each postures. After knowing the mythology of planet Sun, we should know some astronomical information on Sun also. ASTRONOMICAL DATA OF PLANET SUN. The tidal effect of the planets is weak and does not significantly affect the shape of the Sun. The Sun rotates faster at its equator than at its poles. This differential rotation is caused by convective motion due to heat transport and the Coriolis force due to the Sun’s rotation. In a frame of reference defined by the stars, the rotational period is approximately 25.6 days at the equator and 33.5 days at the poles. Viewed from Earth as it orbits the Sun, the apparent rotational period of the Sun at its equator is about 28 days. Apart from Hinduism Solar deities and Sun worship can be found throughout most of recorded history in various forms, including the Egyptian Ra, , the Japanese Amaterasu, the Germanic Sól, and the Aztec Tonatiuh, among others. The Sun is viewed as a goddess in Germanic paganism, Sól/Sunna. Scholars theorize that the Sun, as a Germanic goddess, may represent an extension of an earlier Proto-Indo-European Sun deity because of Indo-European linguistic connections between Old Norse Sól, Sanskrit Surya, Gaulish Sulis, Lithuanian Saulė, and Slavic Solntse. In ancient Roman culture, Sunday was the day of the Sun god. It was adopted as the Sabbath day by Christians who did not have a Jewish background. The symbol of light was a pagan device adopted by Christians, and perhaps the most important one that did not come from Jewish traditions. In paganism, the Sun was a source of life, giving warmth and illumination to mankind. It was the center of a popular cult among Romans, who would stand at dawn to catch the first rays of sunshine as they prayed. The celebration of the winter solstice (which influenced Christmas) was part of the Roman cult of the unconquered Sun (Sol Invictus). Christian churches were built with an orientation so that the congregation faced toward the sunrise in the East. In the Buddhism of the Far East, Surya is one of the twelve Devas, as guardian deities, who are found in or around Buddhist shrines (Jūni-ten, 十二天). In Japan, he has been called “Nit-ten”.He joins these other eleven Devas of Buddhism, found in Japan and other parts of southeast Asia: Indra (Taishaku-ten), Agni (Ka-ten), Yama (Emma-ten), Nirrti (Rasetsu-ten), Vayu (Fu-ten), Ishana (Ishana-ten), Kubera (Tamon-ten), Varuna (Sui-ten), Brahma (Bon-ten), Prithvi (Chi-ten), Chandra (Gat-ten). On the Mount Meru buddhist cosmological system, Surya is considered a female, contrasting a male lunar god. Next article will be on results of planet in houses.